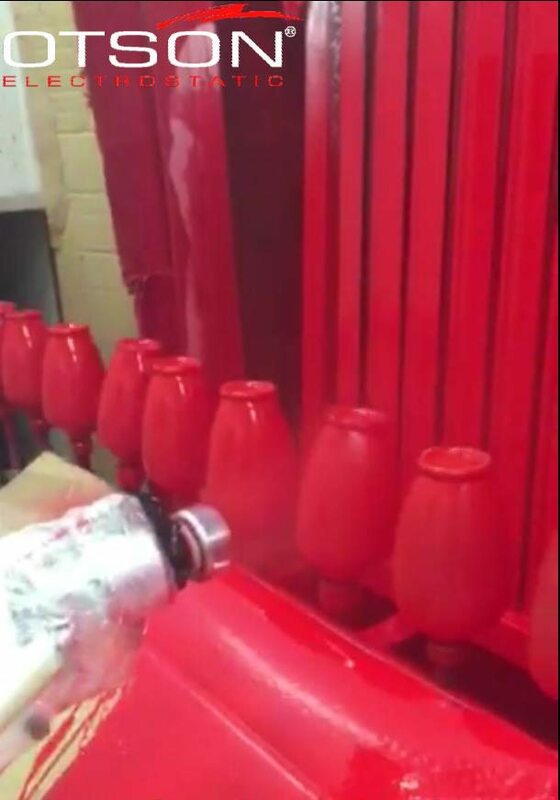 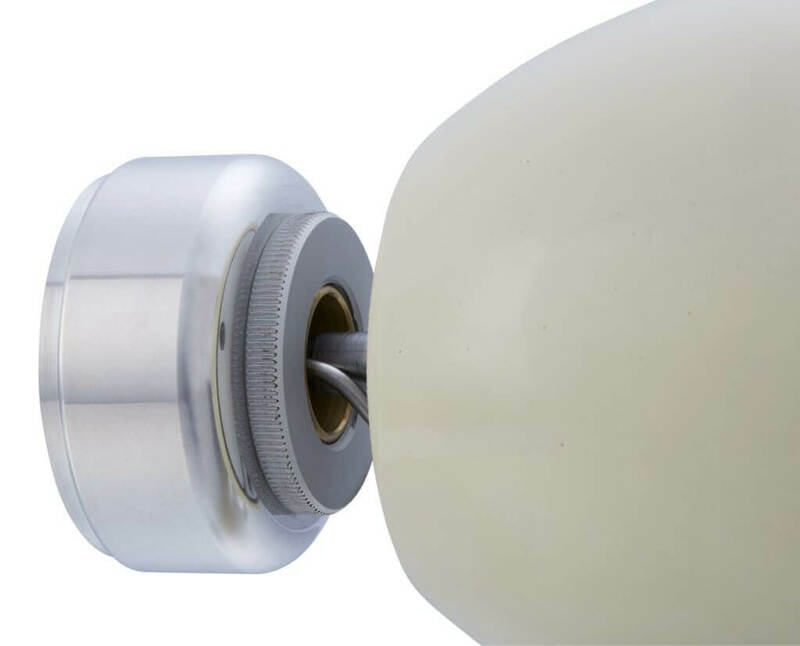 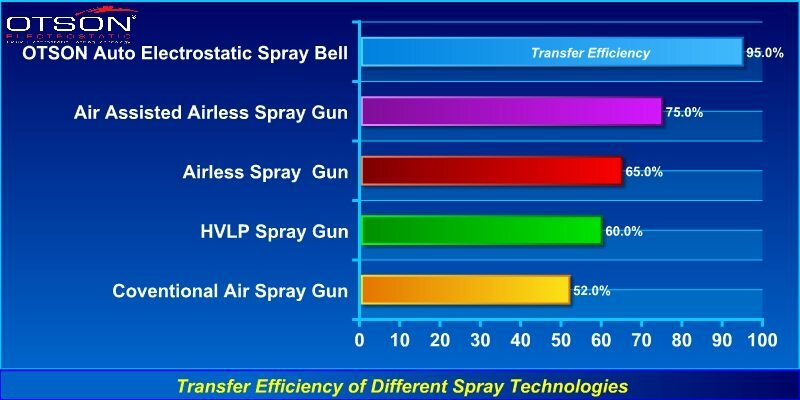 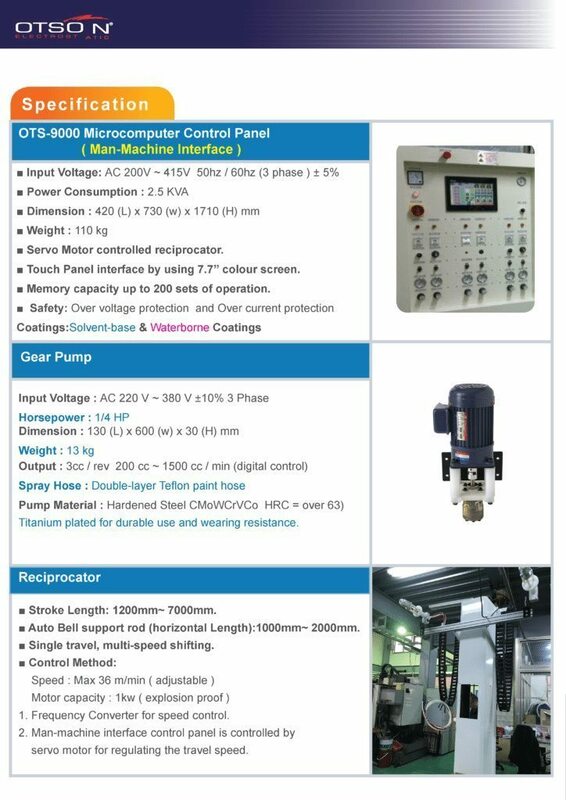 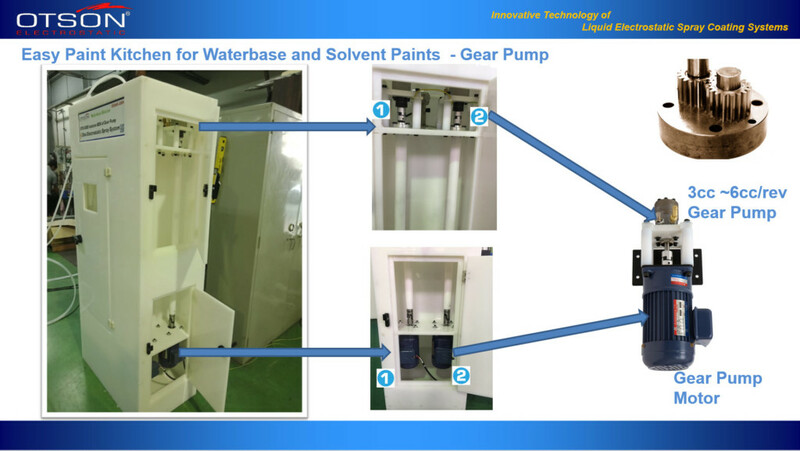 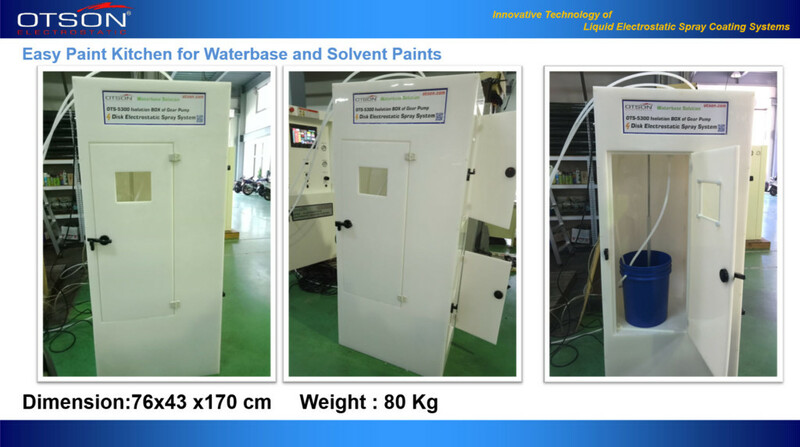 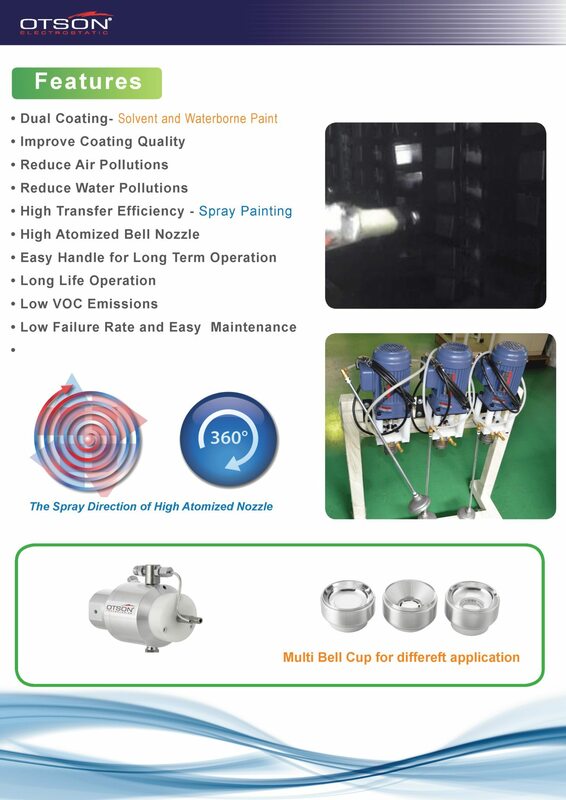 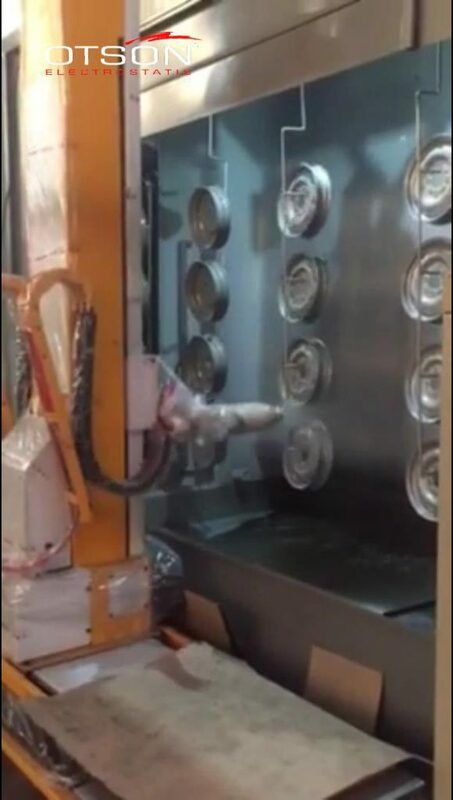 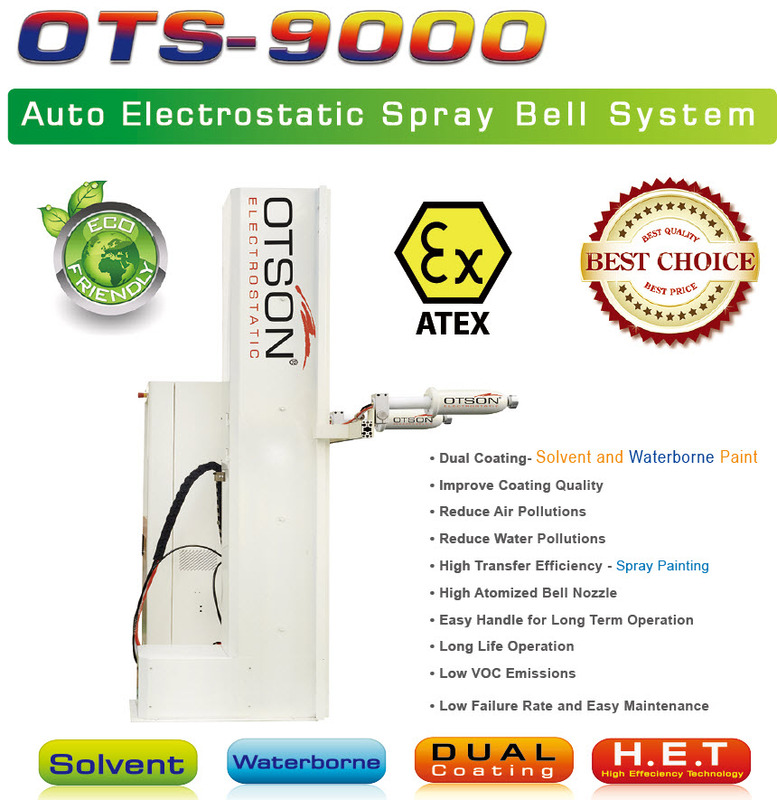 Auto liquid electrostatic spray bell system, just like conventional spraying equipment, rely on air or high pressure to atomize the lacquer. 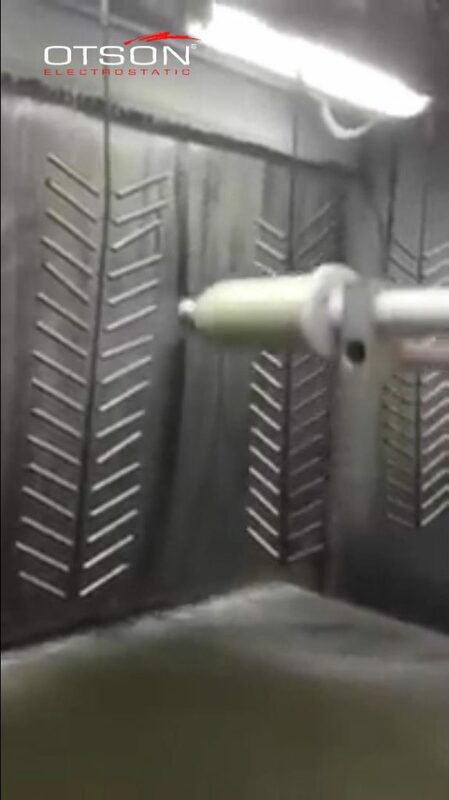 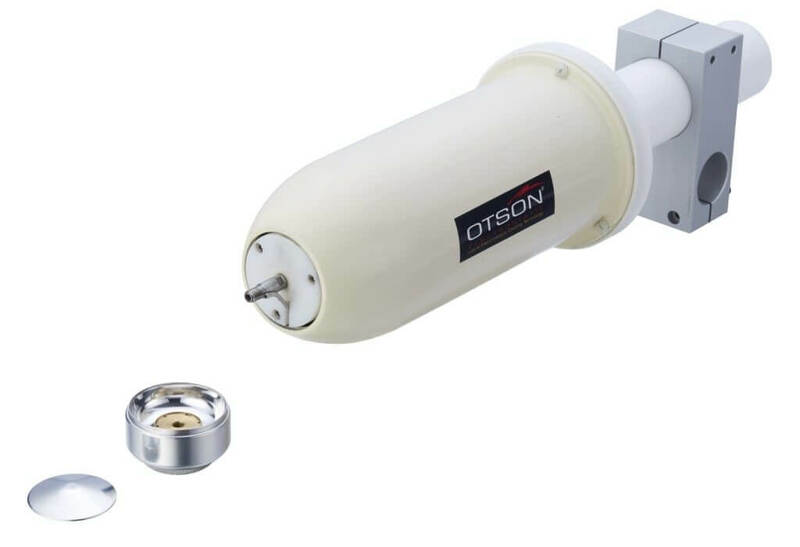 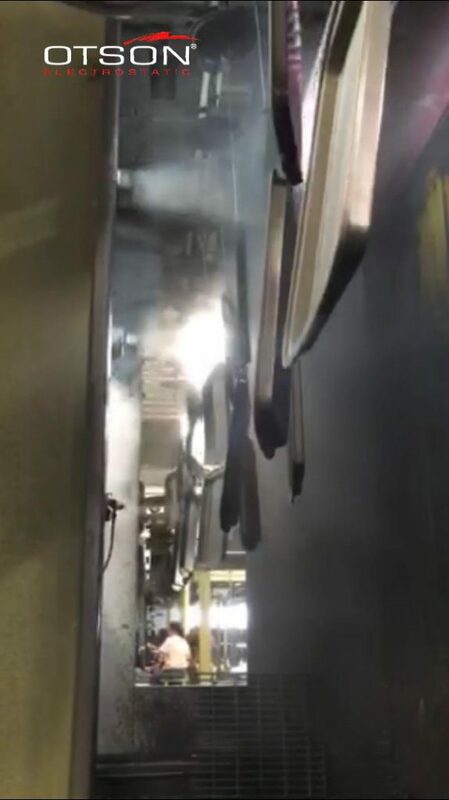 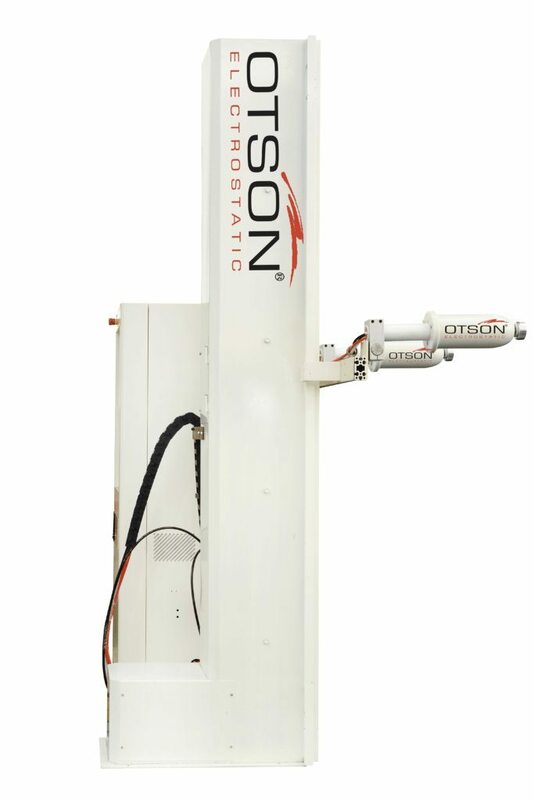 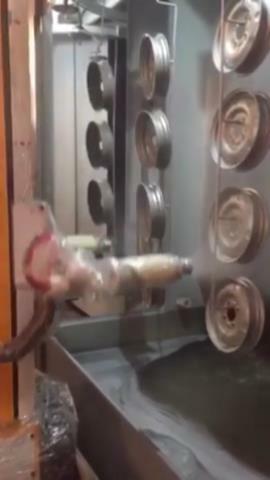 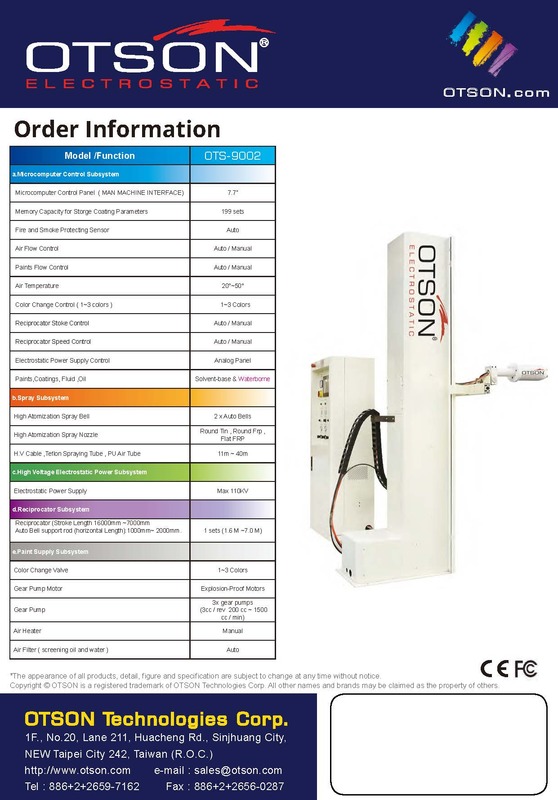 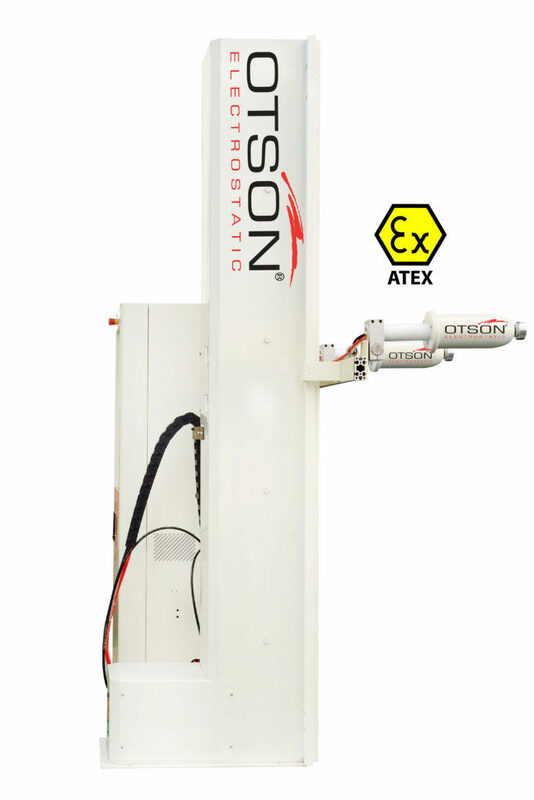 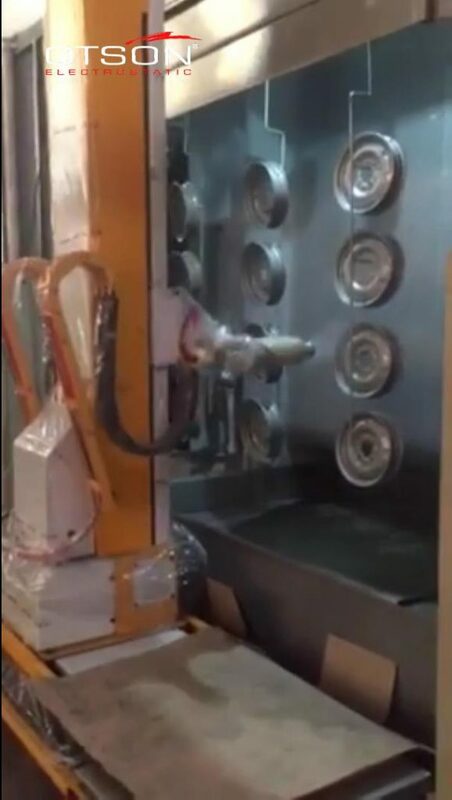 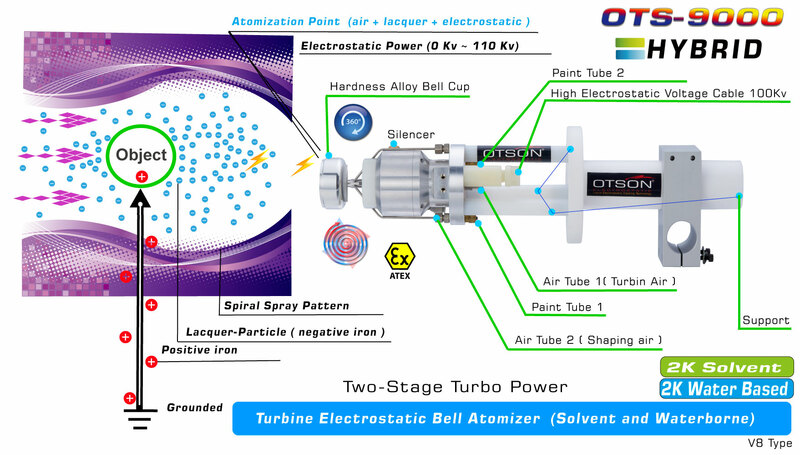 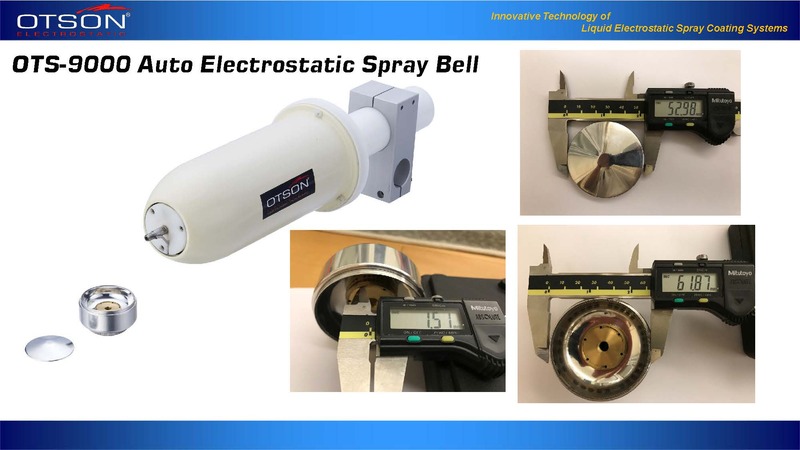 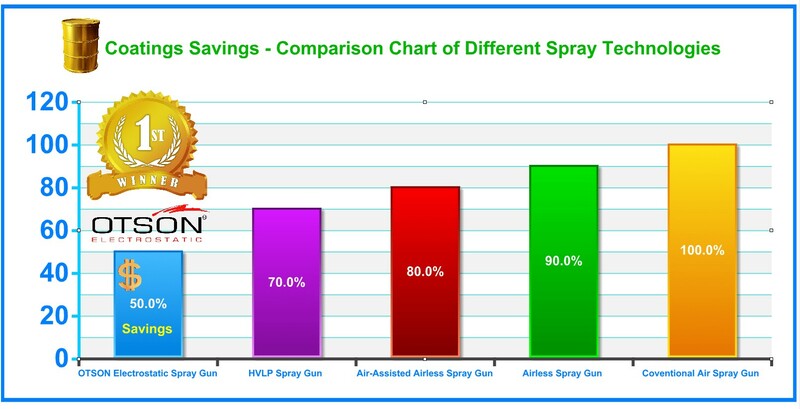 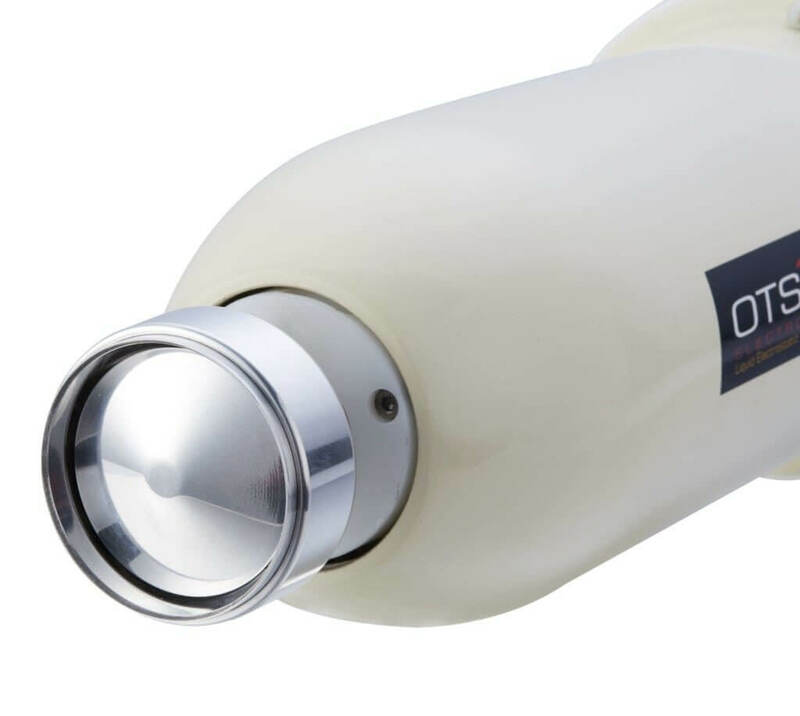 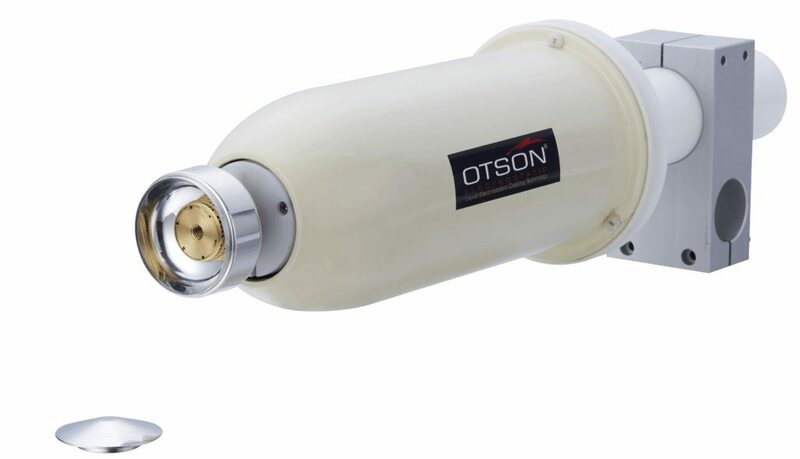 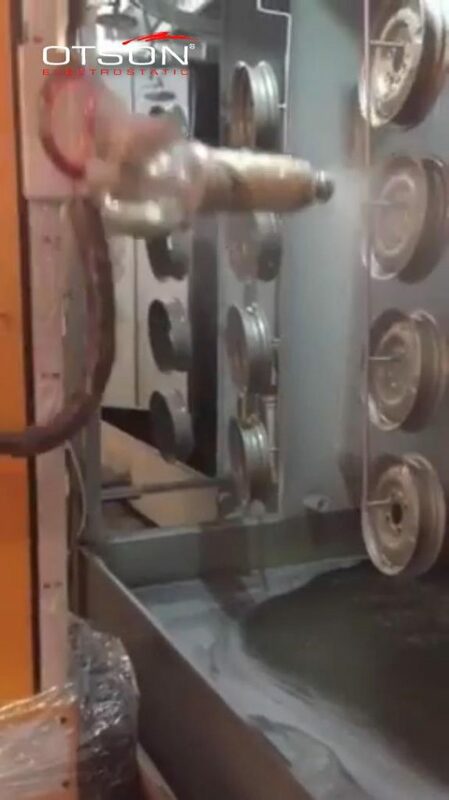 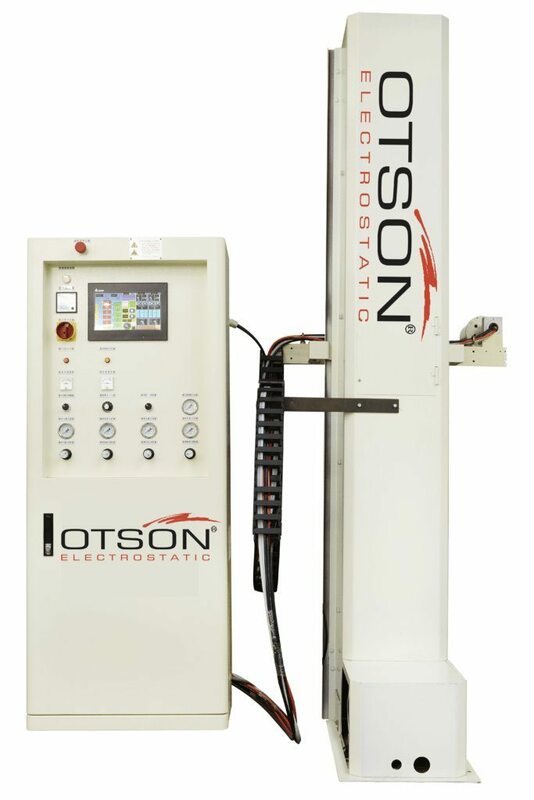 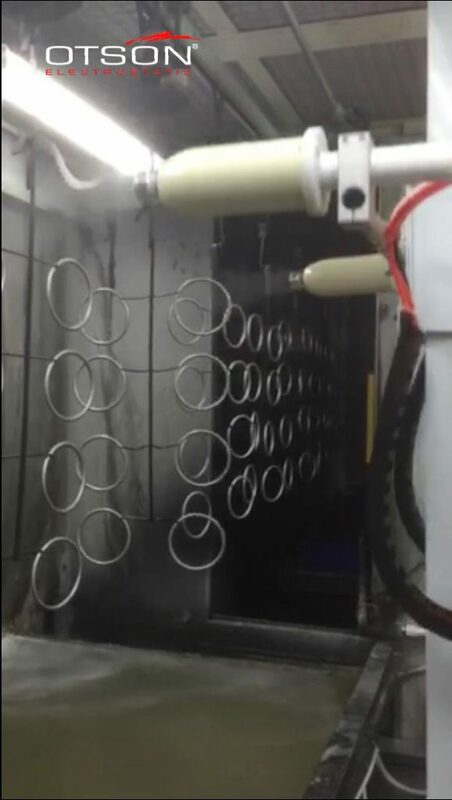 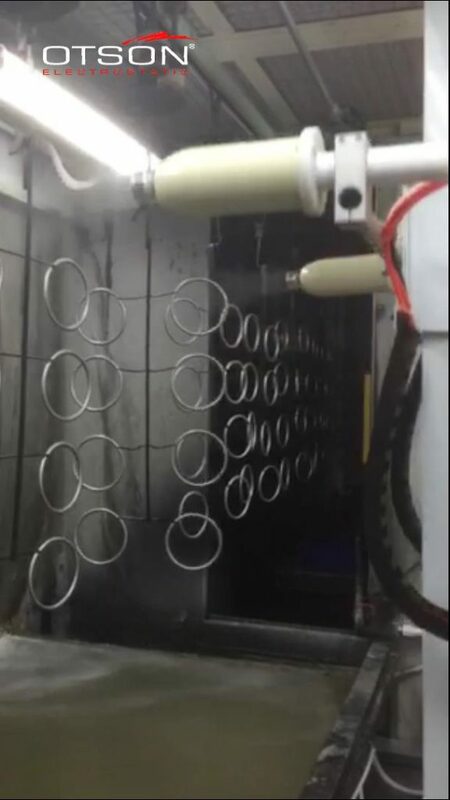 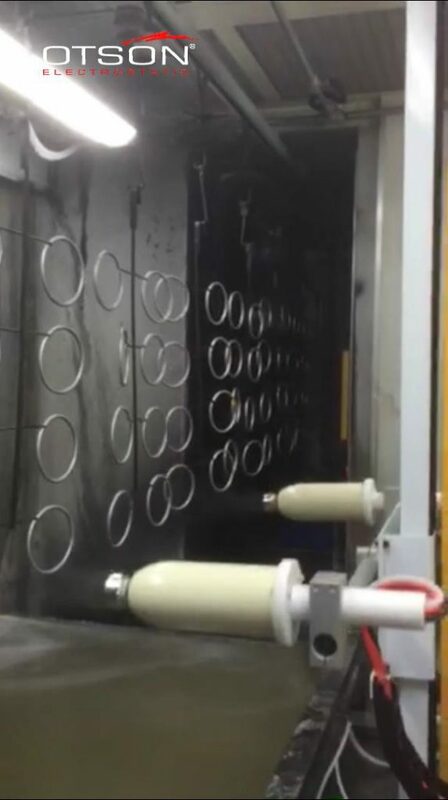 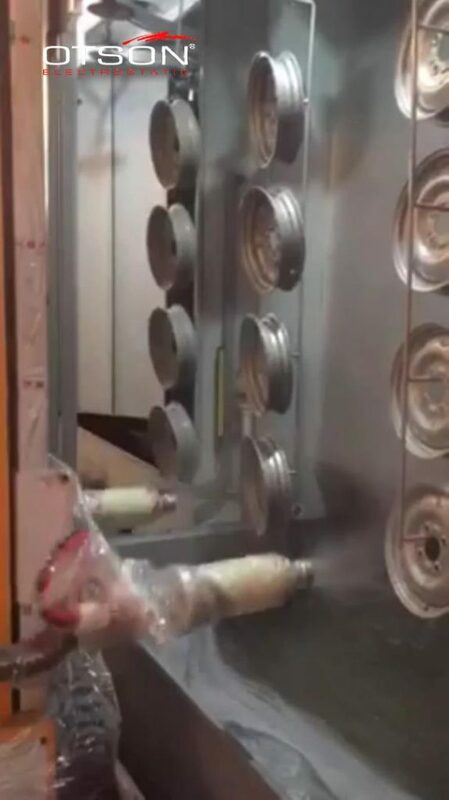 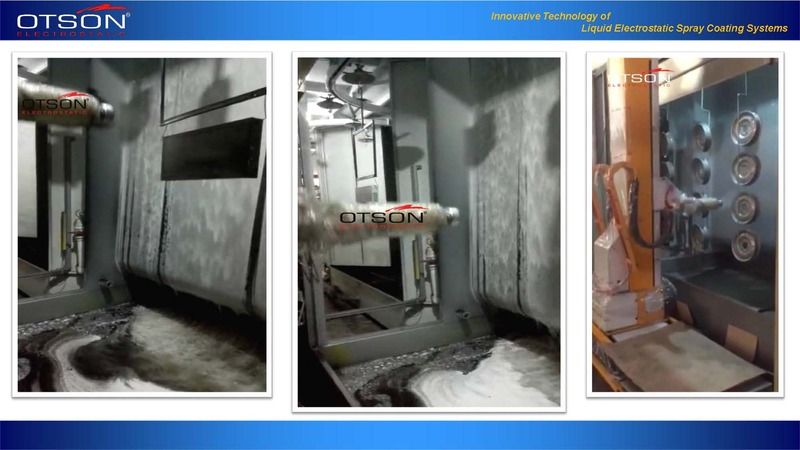 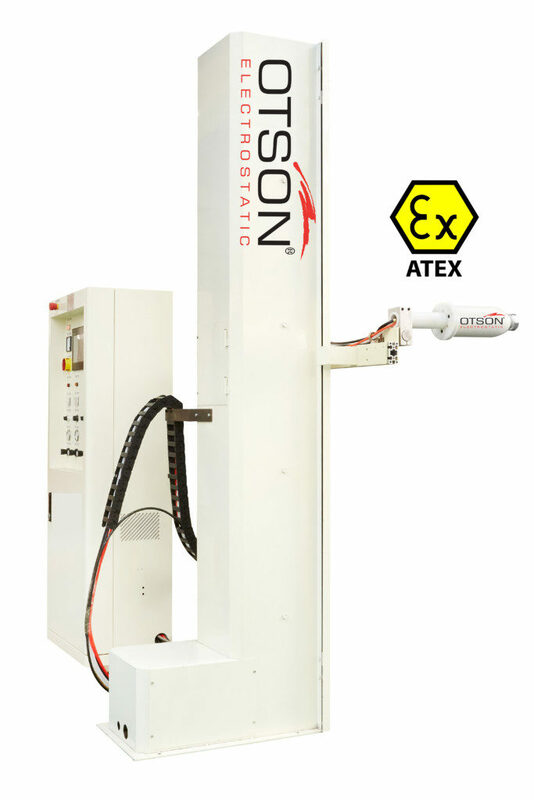 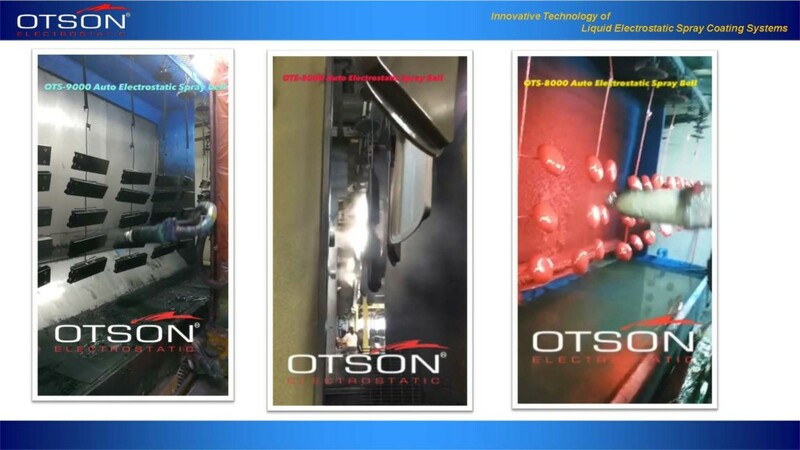 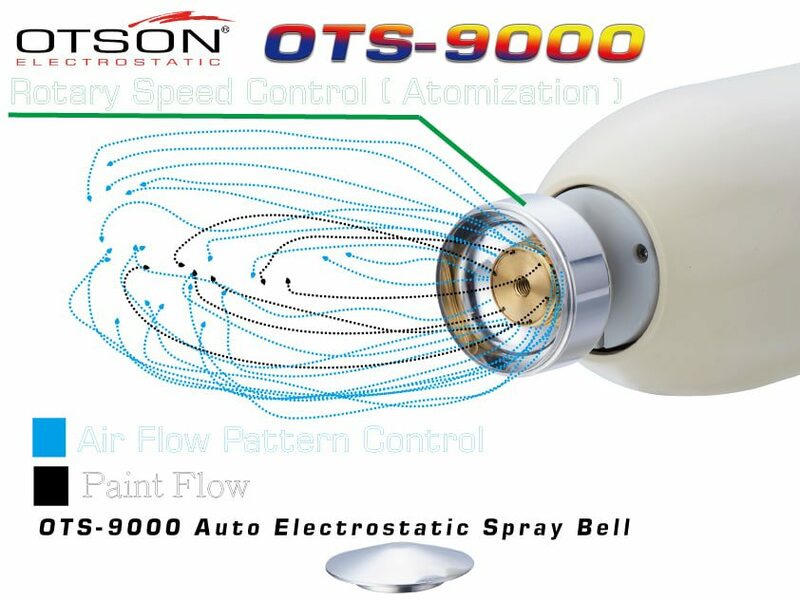 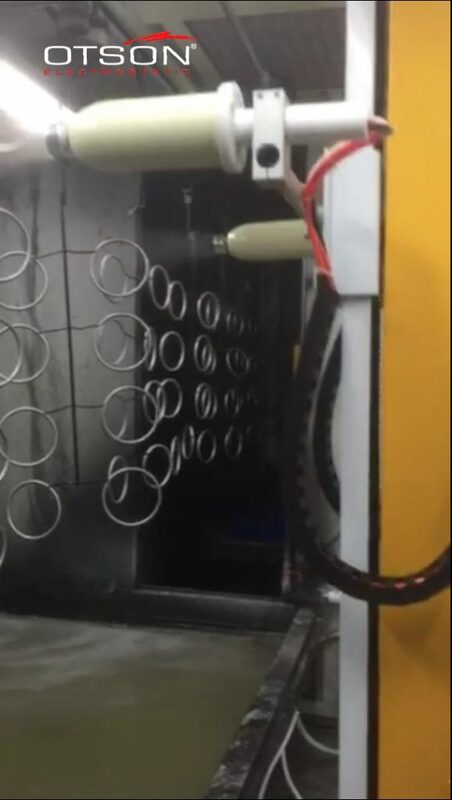 The particles of lacquer are then charged as they exit the nozzle.Different air nozzles cap and material, which create different spiral spray pattern, are available for OTSON liquid electrostatic spray guns. 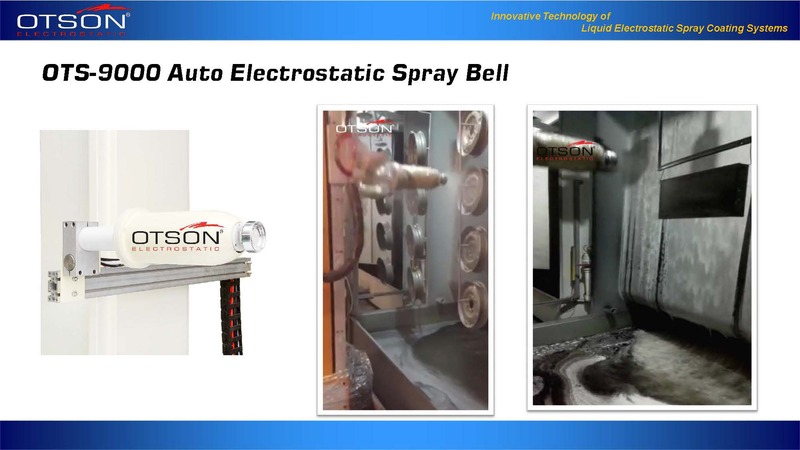 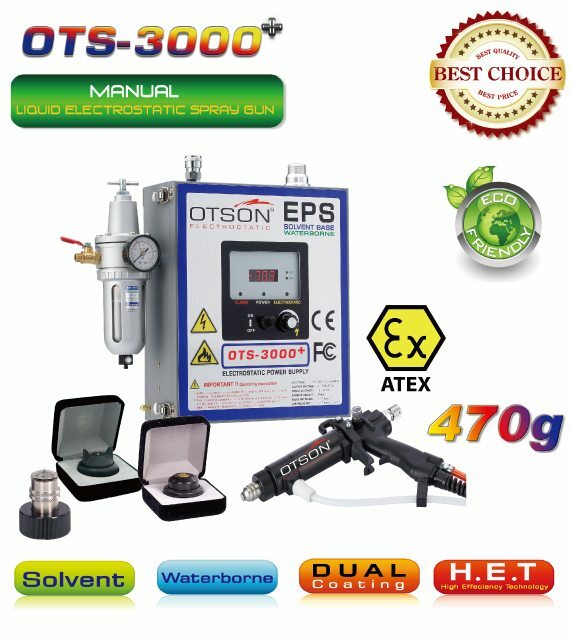 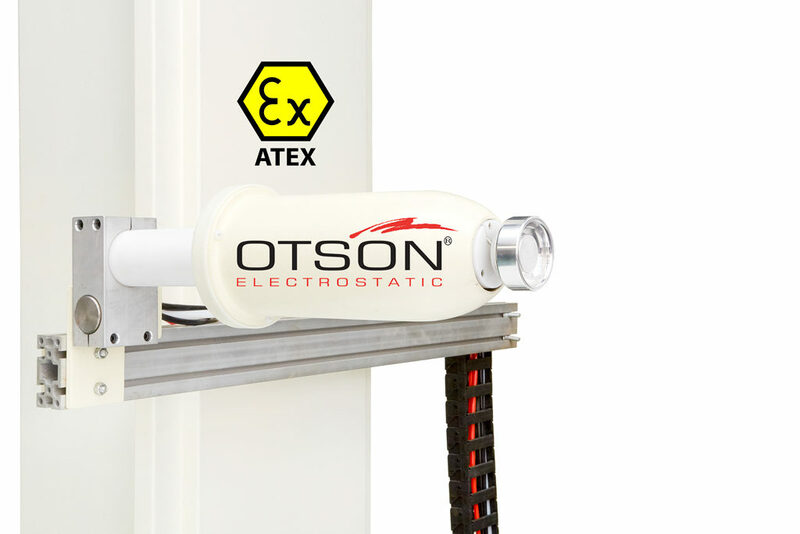 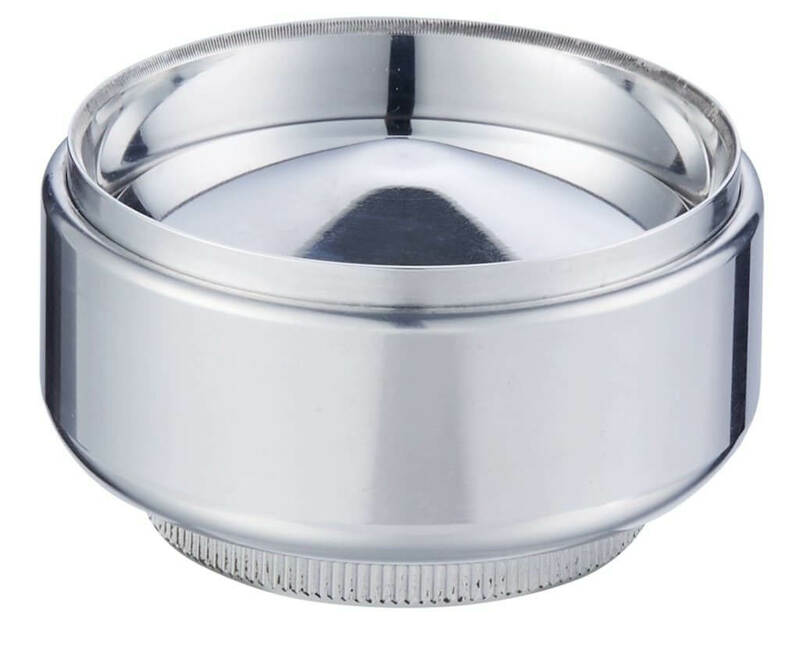 In using the Auto liquid electrostatic spray bell. 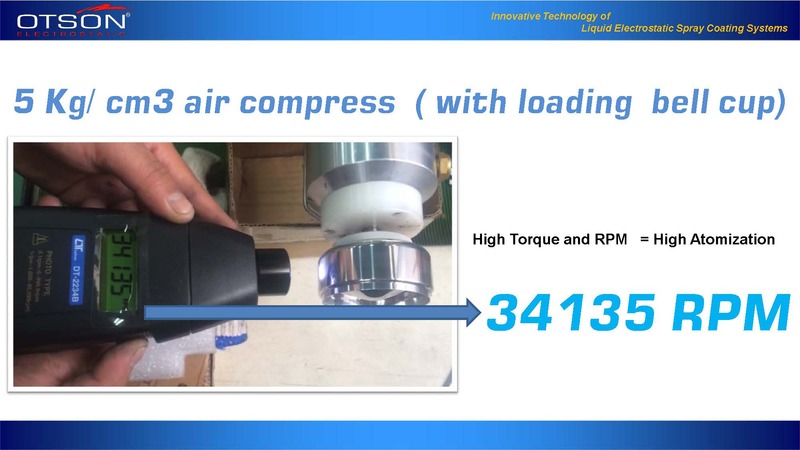 The high compress air tends to throw the paint away when the paint passes through the special nozzle, the paint is atomized , then negatively charged to the object , thus having a less negative charge than the paint. 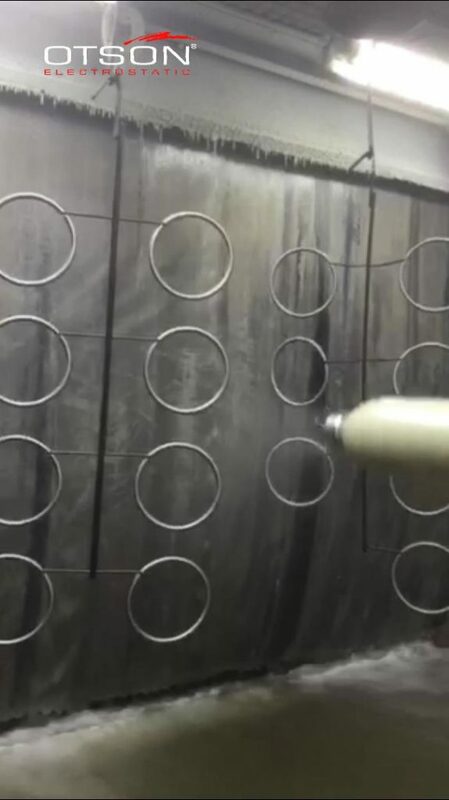 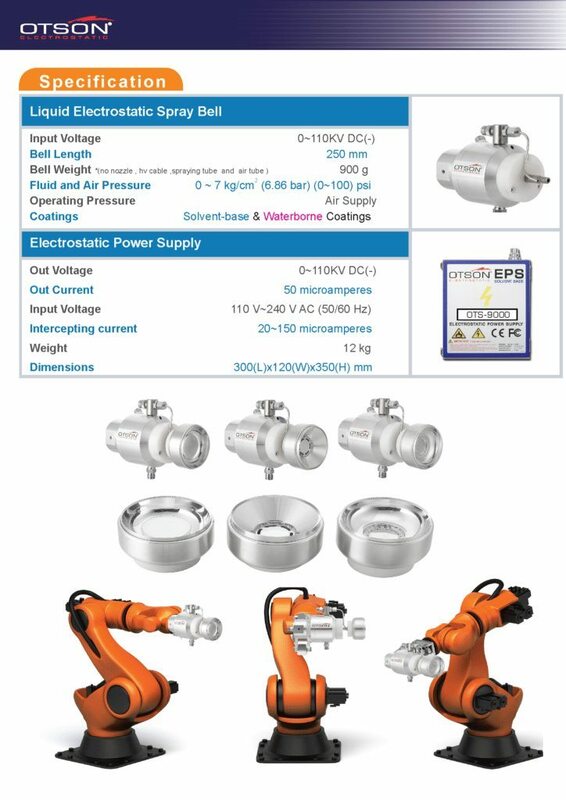 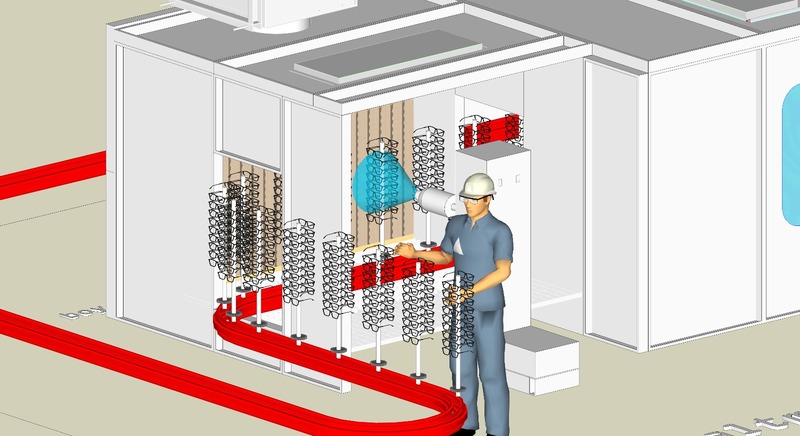 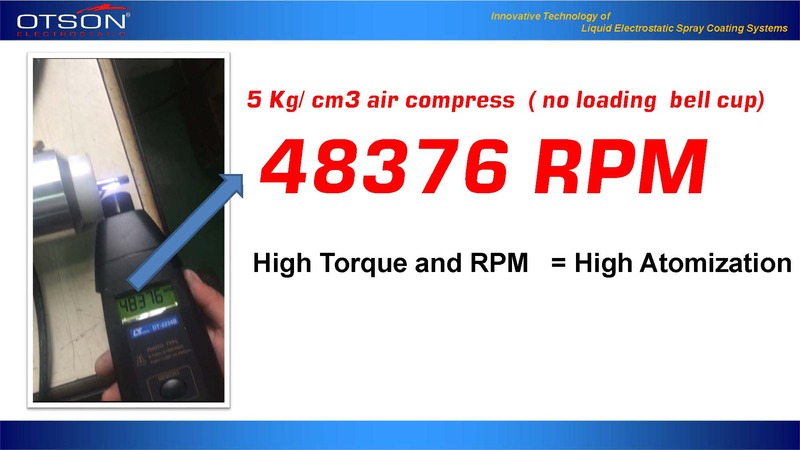 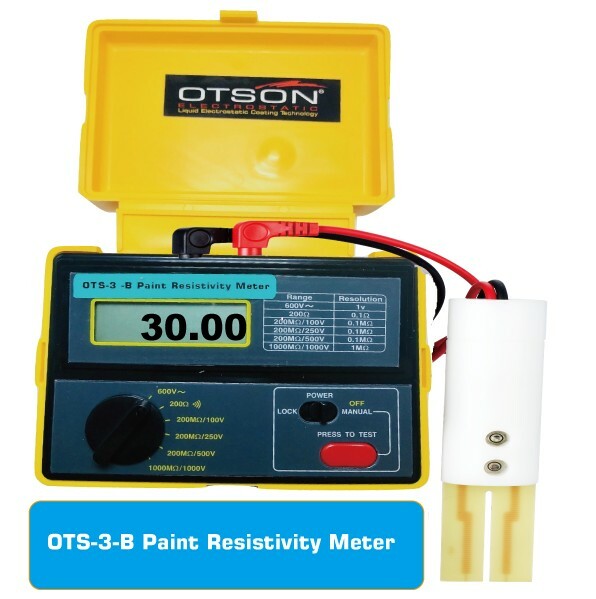 The charged objects are given their initial momentum from the paint pressure and air pressure. In this case , the expelling effect appears between the paint carrying electrostatic and the live particles as to cause further atomization of paint and thus form much finer thin fog. 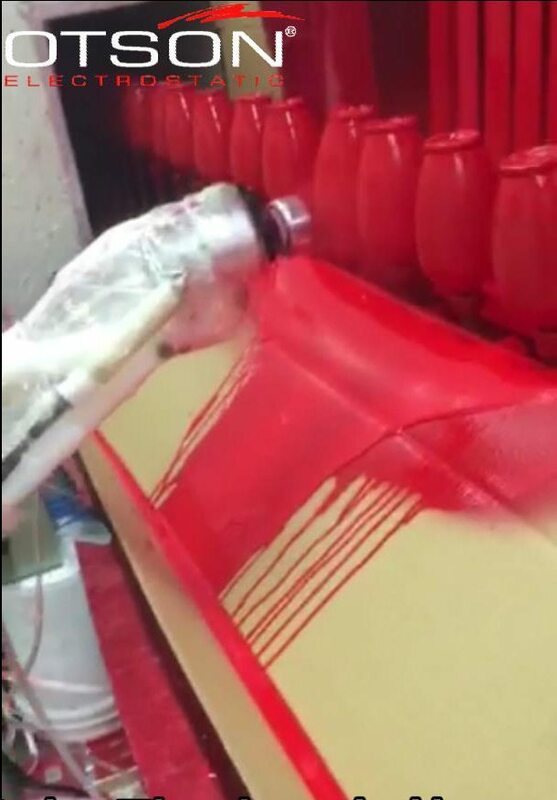 Due to the occlusion of electrostatic, the lost paints are sucked back to the workplace in generating a kind of surrounding electrostatic effect. 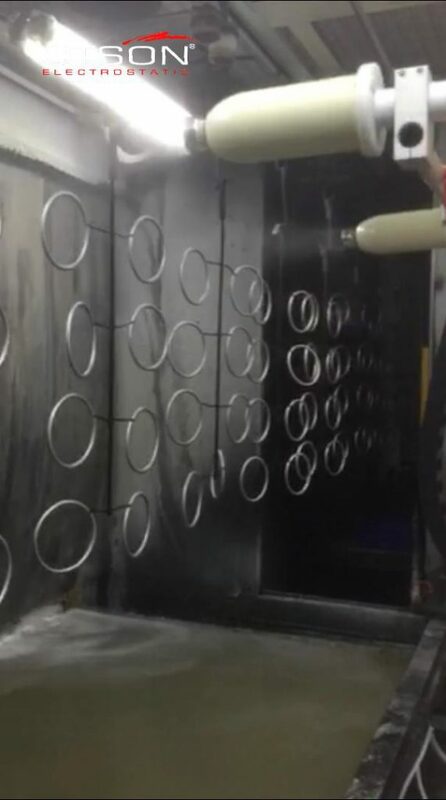 In this way , the purpose of electrostatic coating is achieved which is able to offer transfer efficiency up to 95% and minimize the over spraying phenomenon obviously.